Thank you for visiting our website. We provide coverage for Florida residents over age 65 with Medicare Supplements, Medicare Advantage plans and stand alone Rx plans for seniors. 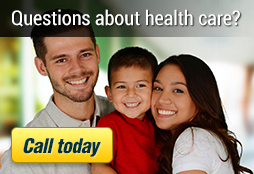 If you are looking for health insurance, you've come to the right place. To view your specifc area of interest, please click on the appopriate topic. Each page provides detailed information on that specific topic. 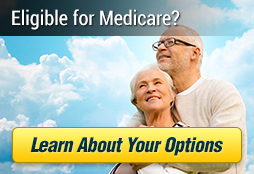 To review the new plans for 2019 click on Medicare Solutions, then click on Medicare Advantage plans for 2019 for Southwest Florida. Headquartered in Naples, Florida our local agency offers the residents of Southwest Florida the best possible service from AM Best "A" rated health insurance companies UnitedHealthcare, Humana and Aetna. If you are under age 65 and missed the open enrollment period and do not have a life qualifying event and need coverage consider a short term policy available from UnitedHealthcare by clicking on the link below. If you are not eligible for a tax subsidy and find that the new "Affordable" health care plans are not very affordable you might want to consider a short term plan as an alternative. Short term medical plans do not provide coverage for pre-existing conditions, or mandated coverage necessary to avoid a tax penalty under the affordable care act. Please note for 2019 coverage if you are eligible for a tax subsidy you must get coverage at https://www.healthcare.gov/get-coverage Unfortunately done of our companies will be participating on the Marketplace for 2019, or offering any health insurance coverage to individuals under age 65 in Southwest Florida off of the marketplace. We service the entire state of Florida including, Naples Florida, Marco Island, Bonita Springs, Estero and Fort Myers, Florida. © Copyright 2019 Weibling Insurance Agency. All rights reserved.